Android Studio has a cool feature to Import and Export settings. So during installation of new Android Studio version I usually import my previous settings. But recently a bad thing happened to me - I have lost my Android Studio settings file. My advice to you: always keep a backup of your Android Studio settings files somewhere on the cloud. And since I am configuring my Android Studio from scratch anyway, below are some things which may be useful for you. When I first fired up Android Studio and started using it, one of the first things I wanted to do was to be able to see line numbers within the file. I was always curious why this thing is not turned on by default? Android Studio doesn’t respect ‘Camel Humps’ words when you navigate through your code with pressed Ctrl+Left/Right arrow keys. This inspection will help you to decrease methods count, achieve greater performance and less use of memory. If you want to know more just read inspection description and Jake Wharton’s talk — Exploring Java’s Hidden Costs. 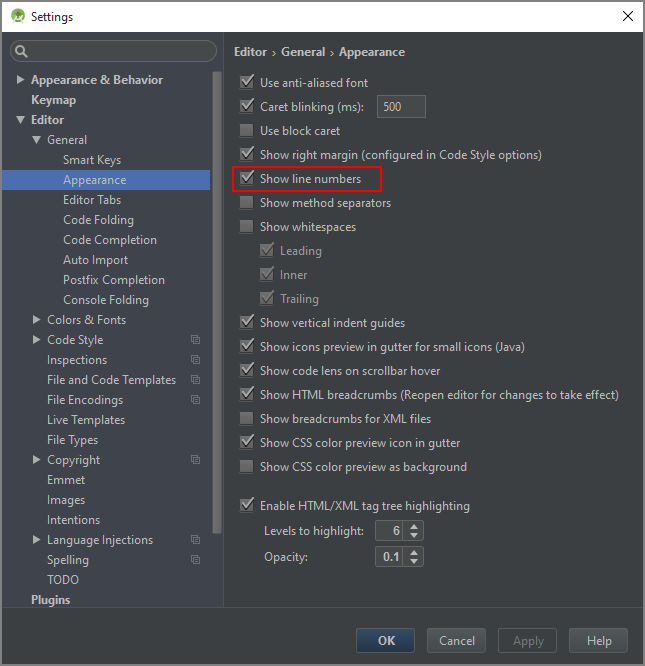 In Android Studio there are shortcuts to auto import or clean-up none used imports. But we live in 2015 right? Those things should be done on the fly. With default Darcula theme Logcat highlighting I am not able to recognize type of log. I prefer to use bright colors from plain old Android Holo theme.